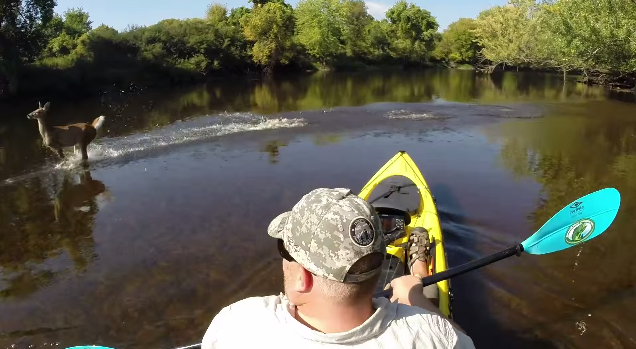 'Deer' Kayaker, Here's a Little Surprise! That rather surprising moment when you're out in nature enjoying some kayaking on a lovely day and a deer just basically "walks on water" in front of you. Yeah...That just happened!